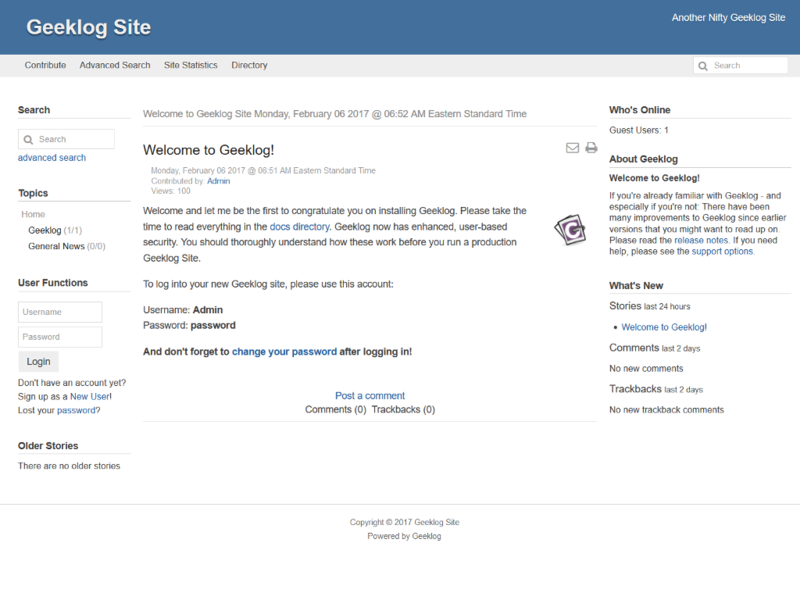 Geeklog 2.2.0 is the recommended version for all production websites. For upgrades please make sure any plugins you are using are compatible with Geeklog v2.2.0 or higher. This is a complete tarball for fresh installs as well as upgrades from any older Geeklog version. 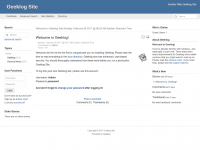 This plugin adds a native forum to your Geeklog installation. Minimum Geeklog version required is now v2.1.3 (includes Geeklog v2.2.0). This is the second beta release of Geeklog v2.2.0. Please try it out on a non-production website and give us your feedback. The Geeklog Menu Plugin allows you to create menus for header, footer, blocks or any element with autotag [menu]. You can also to easily customize the look and feel of your menus by adjusting the values of each colors or choose images for background. The Menu Plugin version 1.1+ works on Geeeklog 1.8.0+ (including v2.2.0). Please check the install.html file included for install, upgrade and use instructions.